Dr. Faustino (Tino) Ramos earned his medical degree at Cornell University Medical College in New York City. He completed a residency at Children's Hospital of Orange County (California) and a pediatric cardiology fellowship at the University of Texas Southwestern/Children's Medical Center Dallas. 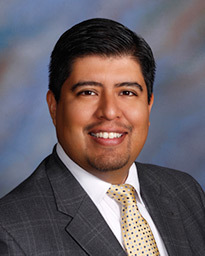 Board certified in pediatric cardiology, Dr. Ramos' clinical interests include general pediatric cardiology and fetal echocardiography screening for congenital heart disease. Speaking fluent Spanish, he treats patients from pre-birth to teenage. Before moving to Houston in 2011, Dr. Ramos practiced in California with Children's Heart Specialists (now Pediatrix Cardiology of Orange County). He was named a “Top Doctor” by Houstonia magazine in 2013. His experience in office-based fetal echocardiography and general pediatric cardiology, complemented with attending for critically ill newborns in neonatal intensive care units, gives him a unique perspective on the spectrum of congenital heart disease. Parents value his bedside manner and ability to put their child at ease during the office visit. They also value the time he takes to make sure that all their questions and concerns are answered before they leave and the fact that his explanations can be understood by young patients. A resident of southwest Houston, Dr. Ramos is married and the father of two daughters. Outside of his practice, he enjoys singing in his church choir, playing the guitar, organ and gardening. Children's Memorial Hermann-The Woodlands affiliated pediatric cardiologist Dr. Faustino Ramos discusses the importance of cardiac screening for young athletes.